Romero was almost exclusively used in the Europa League by Mourinho last season. Sergio Romero has agreed a new four-year deal with Manchester United that will see him remain at the club at least until the summer of 2021. The Argentine goalkeeper has been part of the Red Devils squad for the last two seasons after joining on a free transfer from Sampdoria during the reign of Louis van Gaal. Romero had his best season in terms appearances in the campaign gone by having made 18 appearances in all competitions of which 12 came in the Europa League. Jose Mourinho preferred the Argentina international to regular first choice David de Gea in Europe's second tier club competition and Romero repaid the manager with some impressive performances. He conceded just five goals and kept eight clean sheets to help United lift the trophy and qualify for next season's Champions League. "I am very happy because when I started with the club, I quickly realised it is fantastic and it is the biggest club in the world," Romero told United's official site. "I am really happy to prolong my career here." "I think the last year was a fantastic time for us. We won the Europa League, I played a lot of games for the team and my expectation for this year is to continue in this direction for helping the group. The manager has given me a lot of confidence and for me it is very good. It would be very nice to stay at Manchester United for a long time. "We have great goalkeepers here and we are always learning from each other. Of course, it was a very proud moment for me and my family to be part of the Europa League final, and I am looking forward to helping the team build on last season's success in 2017/18," the Argentine stopper continued. The Portuguese manager was delighted to have secured an extension for Romero and believes the Argentine deserves his new contract after impressing in the Europa League last season. 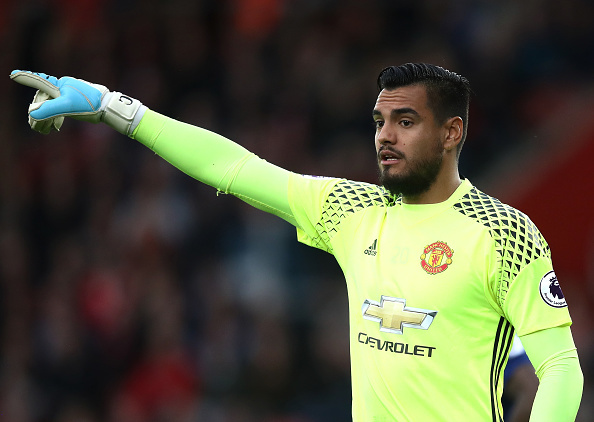 Romero will have his hands full in trying to dislodge De Gea as the regular number one, but the latter's future is not clear as reports have resurfaced about Real Madrid's long-standing interest in taking the Spaniard back to the Santiago Bernabeu. "Sergio is a great goalkeeper and professional. He had a good season and outstanding performances, especially in our Europa League success. Sergio deserves his contract, and for Manchester United to have Sergio and David is amazing in such an important role," Mourinho added.